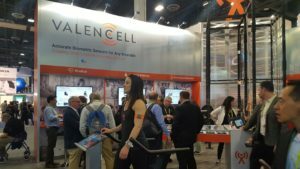 The overwhelming theme of CES Digital Health Summit today (outside of a two-hour power outage inside the consumer tech exhibition area of the global tradeshow) was the seamless, powerful integration of technology with healthcare. 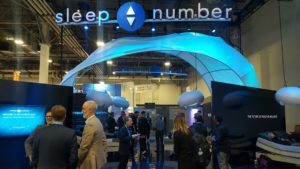 As I waded through the crowded Health and Wellness exhibition floor of the Sands Convention Center, I took note of major players in the sleep tech industry like, Sleep Number , as well as smaller, emerging companies looking to make their mark in wearable fitness devices, Valencell. Significant advances in healthcare technology are also in deep development at the startup level. I spoke with one representative from Case Western University in Ohio who has created a rapid, cost-effective blood testing device that delivers accurate blood work results in just a few minutes, rather than sending patients’ blood to a separate lab for hours of analysis. This kind of innovation could dramatically reduce wait times in hospital emergency rooms by freeing up medical professionals and ER beds/treatment space. Check back on the ACAP Recap blog tomorrow where I’ll detail the latest trends on digital therapeutics.